We all know that video content is big on the Internet and that is no different for mobile content. 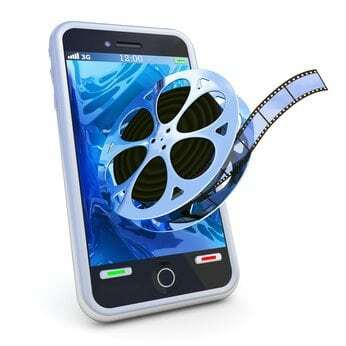 Cell phone companies cannot move fast enough making sure that video is viewable on their devices with larger screens, super high resolution, and the space to allow for clean, clear, and even streaming viewing of video. The creation of apps to allow mobile users to view various kinds of content are being created every day. If your blog or website is engaged with education of your market, and your target market uses mobile devices, video content is a great way to educate your potential clients. Creating short video lessons, two to three minutes long, are the perfect mobile content for your potential and clients to view while they wait on line at the doctor or grocery store. Mobile technology is here to stay, so why not make the most of it with mobile video content which enables your visitors to quickly view your content, take in your lessons. Hopefully your viewers will make the choice to purchase your product since you went so far out of the way to make sure they can get your information and content even while at the grocery store. Mobile video content can help you connect and engage your site visitors in a brand new way that you couldn’t do just a couple of years ago, it’s the best that mobile content has to offer. There are over 5 billion mobile users globally and people are buying mobile devices at a much faster rate than they are even buying computers. Knowing this, mobile content should be one more bullet point in your over all content marketing strategy.